Think Argentina and it conjures up images of the sultry tango, succulent steak washed down with a fine glass of Malbec wine, and of course football. It is packed with incredibly stunning landscapes and cosmopolitan cities brimming with fiery passion and lively culture. These diverse backgrounds also make ideal settings for some truly wonderful golf courses, which crowned Argentina the “Golf Destination of the Year” for 2008 and again in 2011 by more than 500 golf tour operators of IAGTO. There are more than 300 golf courses in the country, by far the most in South America. It’s about teeing off against the spectacular backdrop of the striking Andes, wild Patagonian steppes, glacier-fed lakes and large swathes of green forests. Or it could be the irresistible call of Buenos Aires, “Paris of South America”. Apart from the tango parlors and Euro-Latin allure the capital’s suburbs play home to the country’s top championship courses that are an essential part of any Argentine golf vacation. Outside of Buenos Aires, course designers have taken advantage of the dramatic landscapes and breathtaking scenery with plenty of après-play. In Patagonia’s Bariloche and San Martin, find crystal-blue lake side courses with views of snow-capped Andes. 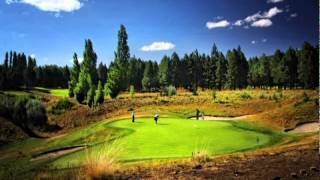 Mendoza, seat of Argentina’s wine region has some fantastic courses too. So does Salta in the north-west province. Argentina being in the Southern Hemisphere, the seasons are quite the opposite of those in the North. In general, the best time to visit Argentina is during summer from October to March, and parts in the spring months of September, April, & May when the temperatures are more moderate. For those looking to combine championship golf with dynamic culture, exceptional wine and dine, as well as rich history and traditions, an Argentine golf vacation is a very serious option. Elegant yet always bustling, Buenos Aires encapsulates the very essence of Argentina. Its compact tree-lined center is reminiscent of Paris with many charming corners and each of its 47 "barrios" boasts its own distinct character. That sensuous Tango is possibly the city's greatest contribution to the outside world, a steamy strut that's been described as 'making love in the vertical position'. The food scene is increasingly dynamic in the land that has perfected grilling wonderfully flavorful sides of beef; best washed down with a generous glass of Malbec. Plaza de Mayo is the traditional focus of entertainment and activity, while Avenida Santa Fe is the shopping hub. On the shores of Nahuel Huapi, Bariloche, the capital of the Argentine Lake District, offers some of the most stunning settings imaginable, thanks to the many snow-capped peaks, waterfalls, lakes, glaciers and abundant wildlife native to the area. It is renowned for its alpine architecture with a Patagonian twist through the use of local hardwoods and unique stone construction, apart from a wide range of outdoor activities. As if all this wasn't enough, Bariloche is also Argentina's chocolate capital! Close by, nestling on the tip of Lago Lácar is one of the most picturesque Andean hamlets with a distinct Swiss infliuence - San Martín de los Andes. Situated at the foot of the Andes, Mendoza, one of the "8 Great Wine Capitals of the World” is often dubbed as the "Napa Valley of South America". It is also an unbeatable adventure destination, thanks to its proximity to Andean Cordillera Mountains. However, the Malbec Wine reigns supreme as you will discover along the famous "Ruta de los Vinos" to visit ancient cellars and sample excellent vintages. Also visit the globally acclaimed Torrontes from the Calchaquí Valley in Salta along the Northwest Province. The colonial architecture, interesting landscape, and the warmth of the people makes this destination a very unique place in the world. Close by, the Humahuaca Canyon in Jujuy also offers a unique experience, rich in history and traditions.